BE two-piece nozzles produce a full-cone spray, with angles ranging between 60° and 120°. The even spray distribution results from the design of the inner whirling vane. 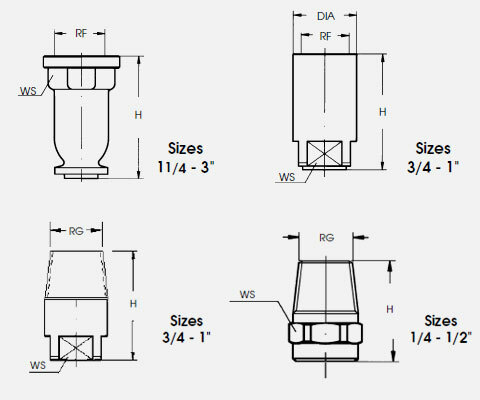 These nozzles can be used in applications where complete surface coverage is required. Models up to 1″ in thread diameter are machined. All other nozzles in this series are castings. 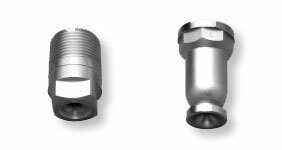 BG two-piece nozzles are identical in performance to the BE style except that it has a male thread.